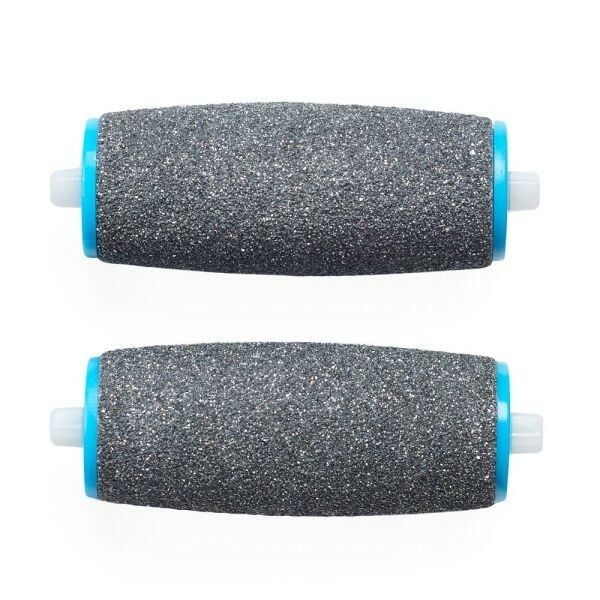 Our specially designed Micralumina roller heads are formulated with long lasting micro-abrasive particles and, should be replaced when they start to show signs of wear which will depend on the intensity/duration of your treatments. Stock up to ensure you always have a fresh refill ready. Your rollerhead should be replaced when it starts to show signs of wear which will depend on the intensity/duration of your treatments. Stock up to ensure you always have a fresh refill ready. Replace the roller head when you find it becomes less effective. Step 1: Turn the Foot File off. 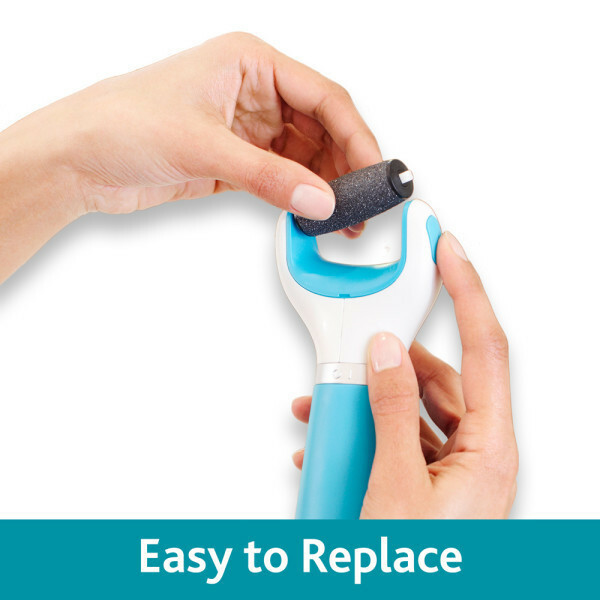 Remove the roller by pressing the eject button on the side of the unit and gently pulling the roller away. Step 2: To place the new roller head into the Foot File, press in the pin on each end of the roller head. Step 3: Slide the head between the tines of the Foot File until the pins align with and snap into the holes in the Foot File. 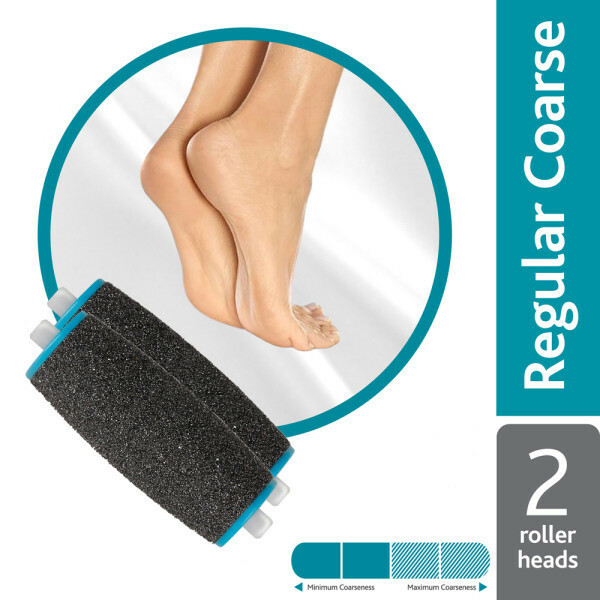 Ensure the new roller head is securely attached to the Foot File before use. Retain the outer packaging for future reference. 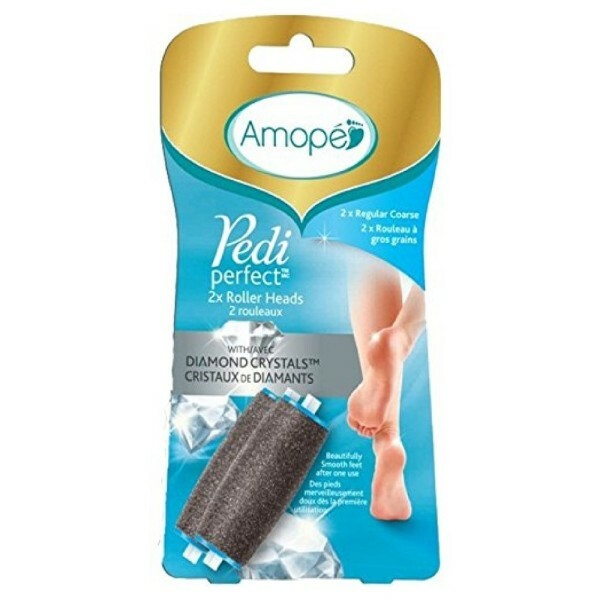 Refer to the packaging of your Amope Pedi Perfect Electronic Foot File for full usage instructions. 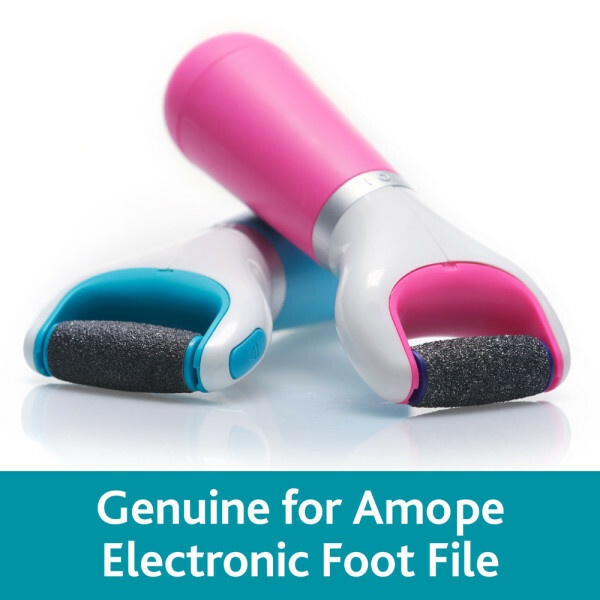 Use only with the Amope Pedi Perfect Electronic Foot File.